With master song craftspeople David Olney and Mary Gauthier celebrating new record releases in these past few days, the signs are right for an Americana review session. We’re breaking the Disc of the Day into three parts. In our female division, we crown Mary Gauthier, of course. It is also a given that David Olney wins the male sweepstakes. The group award goes to Dualtone’s esteemed Shovels & Rope. 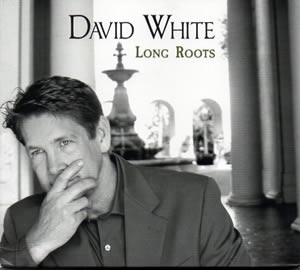 I have never before heard of David White. But what a talent. He takes home this week’s DisCovery Award. -The Reagan Boggs CD Quicksand leads off with this slow-burning neo-soul groover. She delivers its earthy lyrics of failed romance with a sultry sigh. She is backed by The Coal Men and co-producer Eric Fritsch, who sound as good or better as any band in town. Recommended. 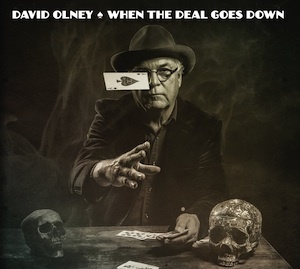 -The title tune of Olney’s latest collection is one of his passionate, darkly intense creations that manages to rock your body as well as stimulate your brain. If this man’s works aren’t already in your record collection, your Nashville songwriting education is remedial. You will not find a finer story teller about the mysteries of love, life and death. On Tuesdays, visit his website for his weekly “You Never Know” streams of singing and musing. -Like, way-way north. “North” all the way to Portland, Maine, where this duo is headquartered. Their style has an “outlaw” country thump, yet is firmly rooted in acoustic fiddle music. Intriguing, if a little thin sounding. -This is the tune Gauthier sang at her recent Grand Ole Opry debut (backed by Marty Stuart, Kathy Mattea and Radney Foster, no less). 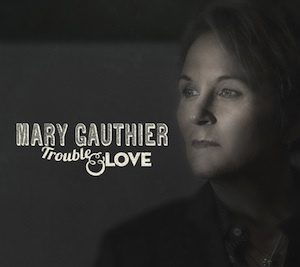 On her new Trouble & Love CD, the sad, languid ballad features Guthrie Trapp, Darrell Scott, Viktor Krauss and Beth Nielsen Chapman. Scott is also prominently featured on the brilliant, atmospheric, gospel-flavored “Oh Soul,” and Chapman co-wrote two of the collection’s songs. The McCrary Sisters and Ashley Cleveland (plus Scott) are singing on the stately heartbreaker “Walking Each Other Home.” Gauthier co-wrote that with newly anointed Nashville Songwriters Hall of Fame member Gretchen Peters, as well as the stunning “When a Woman Grows Cold” and “How You Learn to Live Alone” (which was sung by Jonathan Jackson on Season 2 of Nashville). In addition to the Opry, Gauthier’s album has recently been in the spotlight on NPR’s “Fresh Air.” Buy this record. -White is a Brentwood-based pediatrician with a style of vocal delivery that echoes James Taylor and a grasp of story-telling song craftsmanship that is right up there with the best of Music City. He also has one heckuva address book, for his self-produced opus features a cast that includes Chris Thile, Stuart Duncan, Dan Tyminiski, Bryan Sutton, Paul Franklin and Jerry Douglas. This Long Roots CD is an awesome disc debut. 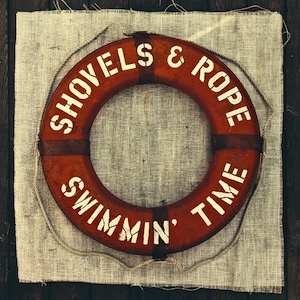 -The duo’s new Swimmin’ Time album comes out on Aug. 26, but you can hear this preview of its opening track now on its website. They shout this journey of the soul in thrilling twin harmonies while backed by a punching rhythm section. Be among the first to get on board. -The Mann brothers recorded their new CD in Nashville as well as back home in Texas. Its single is a loose-limbed, rambling outing that recalls a vintage track by The Band. Jaunty and highly listenable. –Tennessean music writer Cooper also pursues a side career as a singer-songwriter. The title tune of his latest evokes the promise and hope that come with a new baseball season. The fact that we Pirates fans so often come to the fall in disappointment goes without saying. Sweetly sad and wonderfully evocative. -Sloppy, simplistic string-band music for children. -The title tune of DeMeyer’s disc is a bluesy Southern backwoods lament that raises goosebumps and lives in steamy nostalgia. Her supporting cast on this collection includes Jeff Coffin, Will Kimbrough, Guthrie Trapp, Michael Rhodes and The McCrary Sisters. Let a word to the wise be sufficient.